The deets: GAP jeans and sweater; J.Crew boots (scored on super sale); Ray-Ban sunnies; Piperlime clutch (old). So I you know how I have an affinity for polka dotted everythings? Well I saw these pants and just couldn't help myself. I need polka-rehab. The minute this trend goes out of style I am in big trouble because I will have nothing to wear..or maybe it already has and I'm like one of those women that peaked in the 80's and continues to tease her bangs even though everyone knows it's no longer socially acceptable to do so...what if I peaked in the polka phase...is that better or worse than 80's bangs? Ahh! Love your hair in these pix! Perfect amount of wave & curl :) and you can rock polka dots like it's no one's business - keep it up and it won't matter if it's in style or not! Polka dots are still cute! Im sure theyll be in style for awhle... Lovethose pants! love those jeans! I was just thinking this about polka-dots the other day...pretty sure its still in but ill be soooo upset when it goes out, its my favorite!! Those polka dot pants are so much fen, Erin! I totally know what it's like to be obsessed with a pattern! those jeans are adorable! I've been really digging polka dots again lately too, don't worry! These jeans are really cute and quite understated. I'm a big fan! I've never been a fan of the printed jeans trend, but those I love. Something fun but still subtle. I want printed jeans stat! I think that you're fairly safe with the polka-dots. At least for the new few seasons :) P.S. your outfit rocks - I adore the coziness/chicness of it! Those polka dot pants are super cute on you! Polka dots never go out of style, so no worries! Your hair looks so fabulous in these pictures! I love this whole look–perfectly cute and casual! 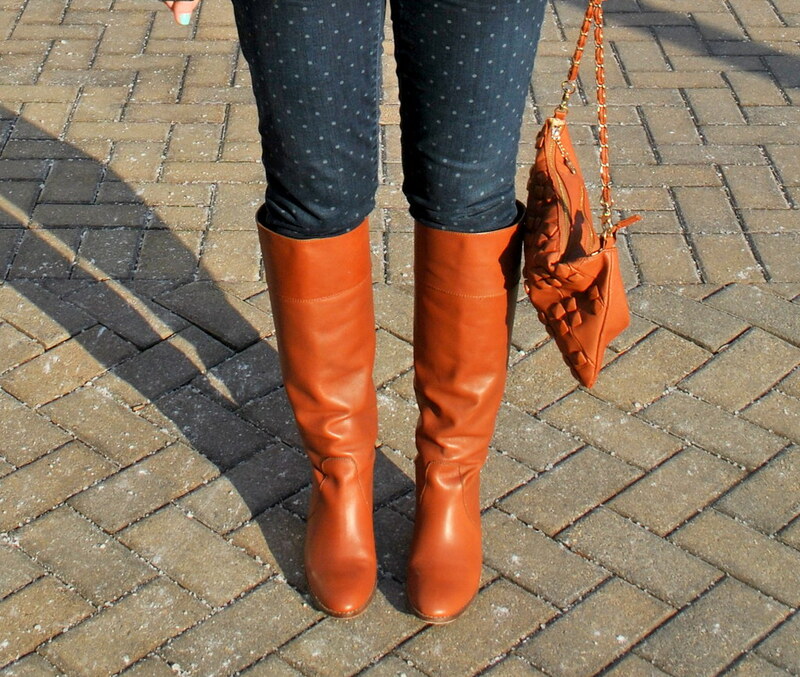 I love the polka dot jeans. Looks so cute with those boots and sweater. Great look! 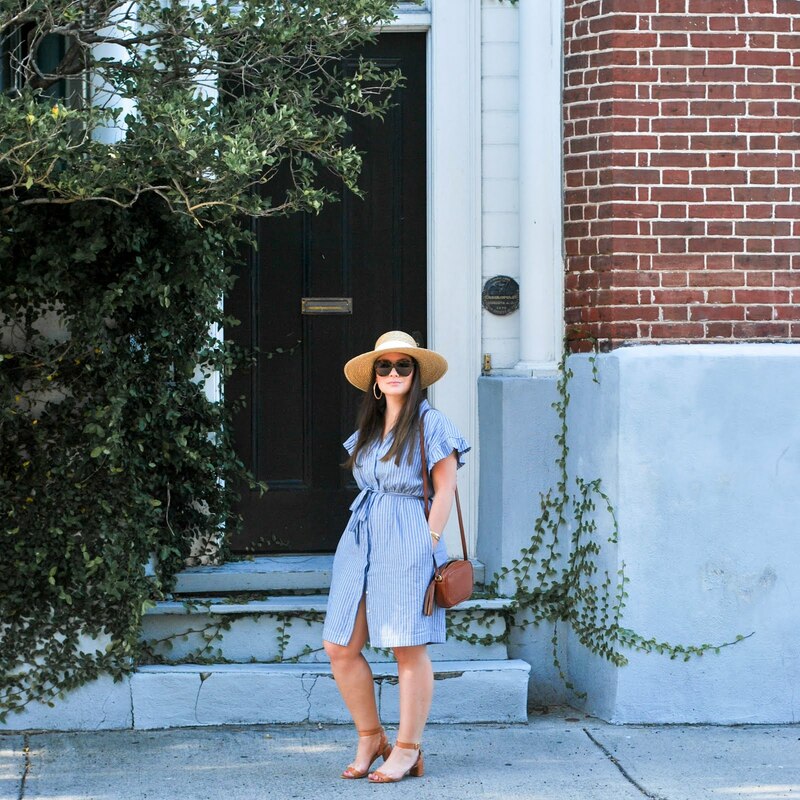 What an easy, gorgeous outfit! Love that sweater, too. Loving this casual look - those pants are too cute! Those boots are awesome, and they match the clutch perfectly! Such a cute outfit! This is such a lovely casual look! I don't think polka dots will ever really go out of style...they're such a classic and classy look! I think it would be fabulous be known as the polka dot lady! You are seriously fabulous in these pants!